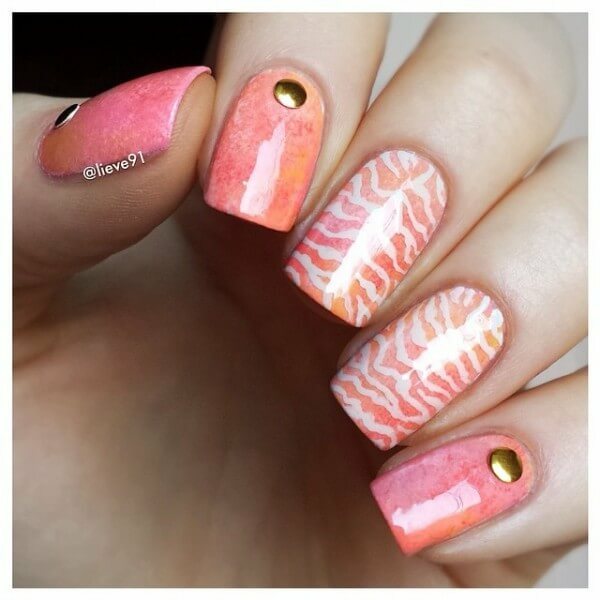 I love how @lieve91 softened up these pastel zebra print nails with a light gradient of peach & pink. She topped it off with a couple of simple, gold nail studs. It’s a great idea for when you want a bold manicure, but still classy enough to wear for any occasion!